Slowly buy surely, the apps that were promised to be Apple CarPlay compatible are being updated. Today, iHeartRadio joined the list. The update has also added another useful feature. Link to download: iHeartRadio from the App Store. The AppRadio Mode equivalent of iHeartRadio, iHeartAuto, has a nice interface. 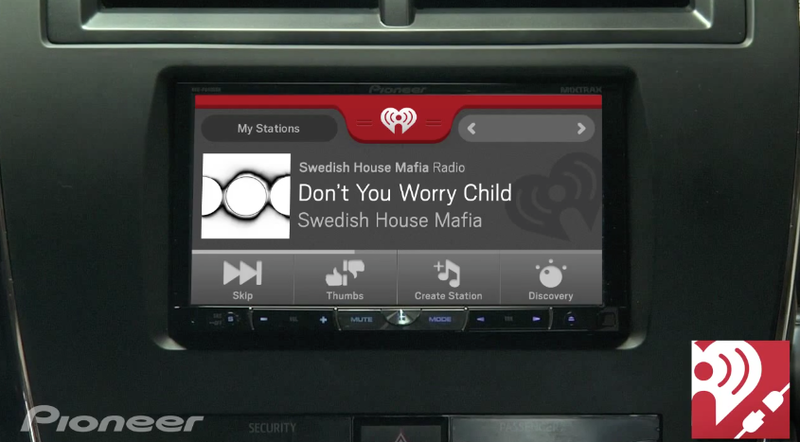 The picture above is of iHeartAuto running in AppRadio Mode. The CarPlay interface will similarly be simple, easy-to-use and with large buttons to tap. Download and enjoy iHeartRadio in your CarPlay-equipped dashboard today.